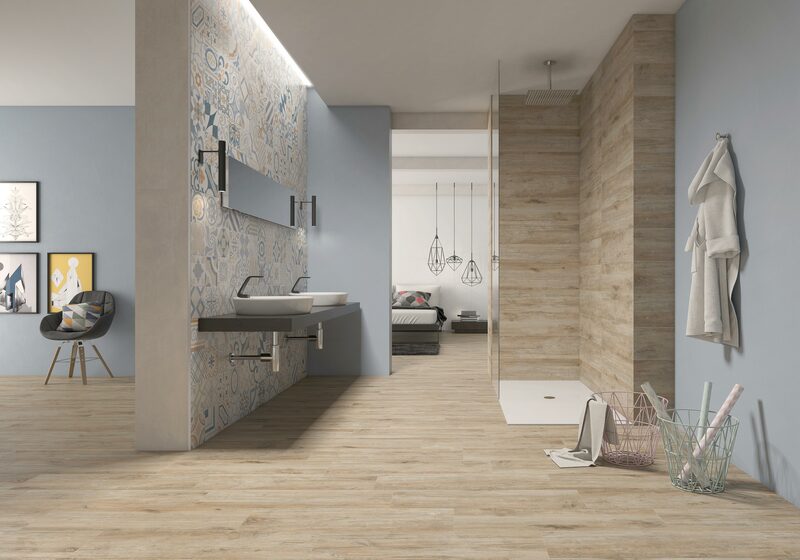 Description: Porcelain tiles. Decorstone. Colours: Magma, Natural, Musgo, Oxid, Argent. http://www.pamesa.com/producto/decorstone/kingswood-kingsdeck-22×85/s20xse590 Following the natural line, Pamesa brings new wood effect concepts such as Kingswood, which perfectly highlight their attractive contrasts, giving the feel of a lived-in space. This balance of colour, nature and avant–‐garde is a creative winner with its wide range of possible combinations. The company proposes a medley of unique creations, like the hydraulic Provenzal, launched in 75×75, as one of this seasons must haves.